Hollymv Dec 01 2018 10:31 pm I loved this show. It had so many things going on the acting was great and there were some really hillarious parts as well as parts that made you anxious. It's one of my favorites. dido May 03 2018 11:05 pm it started good.. then it died down in the middle but it ended it well.. the exciting part was the ghost..
Fullheart5 Apr 27 2018 2:38 pm I guess some people only like to criticize actors and dramas. This is a fun drama. Sadly I avoid long dramas. 50 episodes is just too much time to invest in watching. In that time I can watch 3 shorter dramas and have more fun. So I summon you, Gold is out for me. No loss. This one is cute and fun. Summerlenne Jan 19 2018 1:05 am One of the few dramas that I really like, romantic comedy with the touch of mystery/fantasy. ??? TS Jan 16 2018 11:18 am Sweetest ending I've ever seen.. no plot holes.. no cliche.. love it?? DramaLover Apr 23 2017 10:11 pm I love this drama. I was late to Korean drama so I wasn't around when this was airing but I'm glad I wasn't because the suspense would have killed my patience waiting each week for new episodes. I binged watch it all at one time and I have rewatched it a few times since then. I think I know their lines so well now after so many rewatches. I was really hoping to get more dramas with the cast but I haven't seen much. I have Yang Jin Sung in other dramas and I love her in all of them. Right now she's in Chicago typewriter. I haven't started watching that drama because I wasn't a big fan of the female lead but after finding out that Yang Jin Sung was in it I'm going to give the drama a try just to see her. I don't like the fact that she's playing supporting role again but I'll take what I can. sheldor Mar 18 2017 4:20 pm I loved this drama it is one of the best korean dramas ever. Once I staeted watching it I just couldn't stop. T.A Sep 18 2016 10:11 pm Best and cute K drama (*o*) finished it in two days lol. KDramas May 31 2016 4:45 pm I loved this Drama 9/10 ! Hi Dec 25 2015 6:22 pm A drama that keeps you watching for the next episode. YJS is great job of showing the audience the different personality of the two characters she was playing. Overall, the drama was well written story line. Rin Dec 14 2015 8:05 pm Super entertaining! Fast-paced with sufficient mystery to entice you, modern and traditional scenes cleverly interwoven and revealed slowly to satisfy your understanding of the whole drama! Few repetitions in the form of flashbacks. Thank goodness! Great storyline supporting good morals with just the right dose of antagonism. Conversations of enough depth without being draggy and boring. Lastly beautiful actors with convincing acting! Great job! Well done! Keep it up! 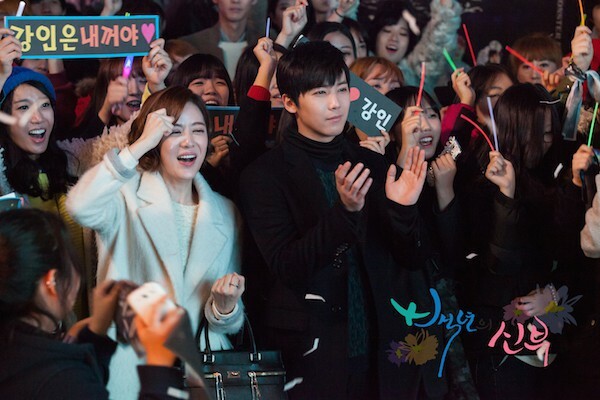 secretlovekd Dec 11 2015 2:15 pm this drama is awesome!!!!! watch the first ep and decided to watch .just spent 3 days to finish watching this drama!!!!! L.N. Nov 13 2015 7:47 am I really enjoyed this drama and would highly recommend it to others. It does have the typical k-drama problems such as the 2nd male lead, evil conniving moms, stuck-up rich boy and somewhat too nice for her own good female lead. But what makes this drama differ from others is that the story progressed extremely well and was not dragged on for too long. Also, almost every character had a deserving ending, even the minor characters had a nice ending. Evil characters does not stay hard headed and evil in the end but have a change of heart. so that was enjoyable. Although Lee HongKi is a little young looking, i enjoyed his acting and little face gestures that had me smirking and grinning. To answer the questions below 1. Yi Kyung and doo rim have the same faces because byul changes yi kyung to look like doo rim. The reason for this is because byul has been planning their fateful meeting for a long time. 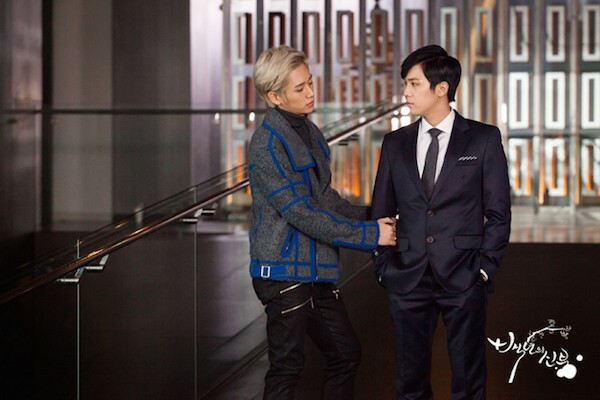 This is the only way possible for poor doorim to meet rich boy Kang ju, since they live in different worlds. Also, byul changes yi kyung face to doorim and not the other way around because doorim in her past life saved byul's child. so she was repaying the debt and helping her find true love. 2. Byul is the only ghost because she has unresolved anger and thus she to solved her anger in-order to move on. 3. Yi hyun did not get a great ending since he loses out on love but at least he gets his mother back and sister. 4. I actually enjoyed the flashbacks because we're able to see the story through different character's perspectives and i don't know another way for them to present the past stories other than flashbacks 5. Yes, yi kyung's mom and byul's murderer are the same. The reason why yi kyung's mom has flashbacks is because byul showed her what she did wrong in her past life and wants her to receive her punishment for it . It's an idea of karma, so she couldn't escape her punishment. Marilyn Queen Oct 17 2015 8:26 am What is the name of the weird song the Choi father plays all the time? daebok Aug 24 2015 12:15 am best drama ever! the story was so unique, very recommended. im watching it for the fourth time. Dami Aug 17 2015 8:19 pm I'm so happy I read the comments, I agree completely, I though I was just dense but the drama does have a lot of holes in the story line. The comment below me is basically my complete thought. Lee HongKi did great at acting... Dnt get me wrong, he just didn't look the part, he looks too young, a more mature looking actor would have fit better. nonetheless he tried and did well, this story line was unique and amazing, but I don't think it reached its potential. Maybe because of the short 16 episode count, because there were so many flashbacks that had they're own story it was hard to sweeze it in. basically, more time could have been taken on this drama, but it was a good watch, I recommend it. Zheng Yi Jun 27 2015 11:55 am I like the drama and continued watching it through the end because of its unique plot. But the unique plot seems to be like unfurnished. Some episodes are lacking. The first parts were interesting until Na Doo Rim (who's pretending to be Yi Kyung by that time) became the dumb girl begging for love in the middle of the story. It would have been better if her character was a bit logical. I felt a bit off about the chemistry and story until episode 10 where backfires started to happen. I'm not sure if I like it but it was a good drama. I'm not sure if this drama is just full of flaws or is it just me who did not understand it at all: 1. Why is Yi Kyung's face and Doo Rim's face alike? Is it because the ghost just wanted to change Yi Kyung's face for no deeper reason at all? (Ep16) 2. If "star"/ghost can be a ghost, then why can't everyone else from the past become a ghost too? 3. Yi Hyun's side was never justified. He did so many good things but he got nothing in the end. 4. This drama was never dragging but it's full of flashbacks. Those moments must be important but I wish that those were just told/executed in different forms. 5. Is Yi Kyung's mom and the one who killed "Star" the same? If the murderer was from the past life? Why is Yi Kyung's mom having flashbacks ang guilt about it? Sometimes, dramas are better to have open-endings, but this one doesn't. Its just that most of its parts have no closure. Kim Na Na May 29 2015 1:30 pm @KC: No, So Boon-In is the grandmother of Doo Rim (Episode 16). Doo Rim's grandmother ran away with her lover on her wedding night. RickDomenech May 26 2015 12:06 pm What an amazing journey this drama was!! Loved from the beginning to end. Emily May 12 2015 9:21 pm Thumbs Up to BOTC team, cast , producers, writer, PD, and everything in between, this short 16 ep K-Drama was very well made. I loved the story line, fantasy, fairy tale, history, and tradition. It's my kind of perfect drama to watch. As of the main roles, Lee Hong Ki, is a cute guy, he portrays a tought outside but is a really loving persona. I followed him ever since the first season of We Got Married, I also like his unique voice as a singer. Yang Jin Sung, very sweet and kind hearted girl, (as Na Doo Rim), her double role was a challenging one, but she delivered ! Kudos to you ! Thank You so very much for your hard work , I enjoyed very much. ckyong Apr 30 2015 12:50 am Finally got a chance to watch this drama. 10 ep to go to the final but what the heck that the ghost is sooooooo damn scary! I love the main actress. She reminds me to Jang Na Ra with similar face yet cute and the storyline itself DAEBAK!. Good job everyone! I agree with the below comments that the lead actor should be more mature. Lee Hong-Ki's acting is superb but he looks too young to be a daddy. When he's holding the baby, I feel like he's holding his nephew instead of his own child. Trew Apr 02 2015 12:28 am Must watch drama, nice romance. The ghost (god of house) is really adorable ;) And acting of Yang Jin Sung in dual role is perfect. You love her and hate her. tp Jan 12 2015 8:44 am This drama is quite captivating. I love every single episode & especially the ending. Thanks everyone for making such a worthy one for us to watch. Fathima Jan 02 2015 4:51 pm Omg i love this drama. The best drama i ever seen. I love the way they act and everything. And its heart touching I wish you guys all the best. cacaqila Dec 14 2014 10:19 am The ghost is so adorable?? As930725 Nov 22 2014 8:52 pm this drama theme is really same with japanese manga "Anata Ni Hana O Sasagemashou", i fon't know it's an incident or may be just copying. harysca Oct 27 2014 1:31 am wow..the drama z xo wow,.i just love it,thumbs up to the main characters lee hong ki and yang jin sung,...a was xo moved by them,.without forgettn the "god of the house" kim ah young...she can really be a ghost,..congrats to everybody who made this whole thing successful,. Vennela Sep 22 2014 5:47 am I really enjoyed this drama. It is very cool and amazing... I will really recommend this drama. It is very nice and unique plot and not having and loose ends. gong shil Aug 18 2014 10:44 pm this drama is my favourite by far! I really enjoyed watching this, hong ki is very good actor! I think this drama has a very interesting plot. very intriguing to watch. every episode has surprise. Liliana Aug 16 2014 5:54 pm This Drama is very Interesting.. Must Watch ! Oyabun Aug 13 2014 2:43 pm Finally gave it a try after reading the comments. The drama was good thanks the main actress. She is cute and did a great job portraying 2 characters. On the contrary the male guy was not soo good. He was too much of a wooden face and his change of attitude was hardly understandable. Furthermore, he was way too short for the main girl and sometime he looked younger than her. This allmost killed she show for me. The drama would have been great with another male lead taller and with more subtle emotions. Overall it is an enjoyable drama which made me discover this actress. I wish her the best for her future as an actress. winwin Aug 11 2014 1:03 pm It was a nice drama! I expected a lot because of all the positive response, and I wasn't disappointed. No need to say Yang Jin Sung did an amazing job. I've catched myself thinking that are 2 different persons even though I know it was only one. Lee Hongki's acting was quite good but I don't think it was that amazing, Maybe because I always see him as the playful singer I'm used to. Sometimes he looked kinda stiff but maybe it was just me. I'm looking forward for his future acting projects (Modern Farmer) though. Overall it's definitely worth watching with its nice storyline and actors. cristina Jul 27 2014 12:24 am This show is amazing. Originally I just watched it for Hong ki but I was surprised by how amazing the plot was. Definitely recommend it. divina Jun 30 2014 5:02 am The movie was so fun even though there is a ghost she is also funny!!! I want to see the movie again. J. Jun 25 2014 6:33 am This series is so dumb it makes Korean people look stupid! TT Jun 19 2014 10:38 pm Great drama! thumbs up! Sim Li Yee Jun 15 2014 4:34 am My favorite drama so far. Love both Lee Hong Ki and Yang Jin Sung chemistry. Storyline interesting and most important not draggy. Guess i had been watching it over more than 10 times and still enjoying it soooooo much. Never expect much from Lee Hong Ki being a cool guy, as his cute 'Jeremy' character in 'you are beautiful' had deeply casted in my mind. He is a man now....an attractive one! Sandra Jun 06 2014 12:14 pm AWARDS!AWARDS!AWARDS! This is one everyone should watch. Very good from beginning to end. Third time watching. Ozmo Jun 04 2014 10:55 pm I'd pick Sung Hyuk... perfect in every way! marie May 25 2014 8:57 pm Anneoung! I got the chance to watched this kdrama and I am certainly enjoying every episode of it. I'll finish the last 3 episodes the soonest I come back home from work today. This drama inspires me a lot. I liked and loved this because its a combination of comedy-drama-horror love story. I hate watching girls who cries a lot on a kdrama! YJS really did a great job! She did her 2 roles excellent. LHK is kinda cute hihi. Great Tandem! Ganbate nee! Fearry May 15 2014 1:24 am I've just finished watching the first 6 episodes in a row, i really love Lee Hong-Ki -who is very handsome <3- and i think that the female lead (the fake) suites him, love every part of this Drama up to now and i recommend it to every one. dadz May 12 2014 4:37 am I still can't get over with this drama. I miss it every time I open my tv . . . . . . . . . . . .already watched it for 5 times in just a week . . .
mich May 10 2014 4:37 am . .anyeonghaseo! . . .. . I love this drama so much. every episode just drive me crazy. . .. It's funny and at the same time an inspiring drama. Especially it was Lee HOng KI who acted as the male lead of the drama . lee hong ki's most handsome moment was in the 3rd episode i think,when he faced the mirror asking what kind of a woman is jang yi kyung. and his cutest moment in the whole drama was when he found out that the  one he loved was the fake one . it happened at the restaurant of na doo rim . . . . .
Cecil May 09 2014 4:08 pm Love this drama! LOVE the actors they showed great chemistry. hope Lee Hong Ki makes another light rom-com. Jean May 01 2014 4:45 am LOVE THIS DRAMA <3 <3 Thank you to the director, producers and the whole team for making this! It has become one of my favourite dramas to cherish! Hope to see more dramas from the actors and actresses! Carmenita Apr 25 2014 10:28 am Highly recommended!!! vvvv Apr 23 2014 5:10 am i love the house ghost actress! for me the whole drama she is the highlight and what a great acting! I really hope she will star more drama and movies in the future! rc137 Apr 22 2014 8:07 am Yi Kyung and Yi Hyun had same father, different mothers. To Yi Kyung's mom, he was a step son. To Yi Kyung, he was a half brother. Assuming Yi Hyun's mother had Yi Hyun with Yi Kyung's dad. doo rim Apr 22 2014 2:46 am Best story ever!!! doo rim Apr 22 2014 2:35 am I already finished this drama. The actors were all great!! :) especially my new idol yang jin sung.. what a great acting! Hope she will lead another drama this year. Thank you for the person who made jin sung to be the lead girl here. I'm still watching this again and again. I got goosebumps when the ghost said she will repay her friend in the next life for saving the child.. i hope it happens in reality, that there would be a next life. Anyways, this drama is the number 1 for me now.. i find myself being hooked on this drama! Al Apr 21 2014 4:35 am I regret not starting this drama earlier on! I've been putting it off for a while after only watching part 1 of episode 1 and only came back after months and am currently on episode 5. I like it when Jin-Sung act classy. It suits her better! Al Apr 21 2014 4:34 am I regret not starting this drama earlier on! I've been putting it off for a while after only watching part 1 of episode 1 and only came back after months and am currently on episode 5.
cookiemonstur Apr 16 2014 2:27 am Korean Dramas have always been great. The stories were unpredictable and genuinely portrayed. The actors and actresses were of fine caliber. The same goes for 'The Bride of the Century', it went far beyond my expectations on Korean Dramas. Calling it a mere plot twist with be an insult to the carefully woven story of the writer, the tale of a family legacy that went beyond a century of challenges is definitely outstanding. I hope to see more dramas of this caliber. Kudos to all those behind the success of this production! Margaret Apr 14 2014 8:32 pm LOVED Bride of the Century! And I'll watch it again. When it first came out, I marathoned 5 episodes in one weekend and had to go watch it again until the new episodes came out. Great casting! Great storyline! Great show! BRAVO! Congratulations!! Lydia Apr 14 2014 8:25 pm Bride of the Century was one of my favorite dramas of 2014 so far. I thought Lee Hong Ki did quite well (he especially looks good with dark hair as he looks more mature and manly). However, I think the one that deserves a lot of kudos is Yang Jin Sung, whom I remember from Secret (another 2014 favorite). I think she did an exceptional job in this drama and hope to see more of her. I am surprised that others are saying this had low ratings and on Cable TV. I was expecting it to be more popular as it is more of a trendy drama and had everything going for it to make it as popular as Heirs. Another character I really liked was Kim Ah Sung who played the ghost. She seems fairly new in the Kdrama world. I think she did a fantastic job and hope she gets future projects....and her own page on Asianwiki;). I think the story was very well written. I think they did a good job for the ending and resolved the unresolved situations. You left having no questions and a sense of completion to the drama. The romance wasn't sappy....about 90% of the time. Sure it had the occassional romantic cliques but it was still enjoyable. And I think the best part about this drama is how well they developed the characters, especially showing very raw human feelings. And the villains were actually bearable. I wasnt face palming every time an antagonist did something, because the writer wrote them in a way where you could feel sympathy for them and why they did what they did and the villainous acts werent done in such an overyly dramatic way. misch Apr 13 2014 4:53 pm just discovered this drama .. and i love it!! it's good to see hong ki as well... thanks to the cast and production staff for this wonderful and fun drama! apple leynes Apr 13 2014 5:27 am Wish KBS took this drama! will miss Lee Hong Ki! this drama is fascinating. we need this kind of drama in this stressful world. Lee Hong ki - we hope to see you very soon ! YoonAh Apr 11 2014 12:19 pm @Thie, this is shown on cable TV that is why the rating is low. However, the ratings are quite good for Cable TV. Really great drama...good to see Lee HongKi again, last time I saw him was in You're beautiful. Mary Jane Apr 11 2014 11:26 am I can't wait for the next episode.... I just wish they could have just put until episode 20.... oMG I will surely miss the liveteam of Nadorim and kangJU.. Love u Lee HOngKi "SEVERELY!!!! Herlina28 Apr 09 2014 5:00 pm Love this drama......very love it, in preview ep. 15 Doo Rim move to Namhae seem she is will pregnant hope that Kang Ju know it (love this part baby Eunjae show up)........i hate they separated (Kanh Ju and Doo Rim). doo rim Apr 09 2014 10:14 am Love this drama so much! From ep 1 til 12.. i haven't finished watching ep 13 yet.. yang jin sung is a very good actress. I see yoon eun hye to her.. she's so funny ah ha! farahdiyana Apr 08 2014 9:41 am I really love this drama. I can't wait for the next episode. Btw , i love when them be together again. So sweet. I love everything from this drama. Just like i love My love from another star and emergency couple. love hoongki Apr 04 2014 12:33 am lee hong ki fighting! liliya Apr 01 2014 6:51 am I love love love this drama. When is the next episode coming out? I can't wait to see what will happen!!! la.la. Mar 30 2014 6:22 am it seems that most of the young cast went to the same plastic surgeon. their face shape and mouth look to similar. ka.mi Mar 28 2014 11:30 am great story! the lead actors are great! I fell more in love with the series after hearing Lee Hong Ki's Words I have yet to say!! Especially with Kang Joo. FIGHTING!! L0V3it Mar 28 2014 12:25 am Hong Ki oppa is so cute and charming when he smiles. I can't wait until yi kyung and her rotten mother get found out, or better yet get thrown into a jail cell. jelai Mar 27 2014 2:20 pm I love this series....and I want to meet them in person but I dont know how? hongki&yonghwaADDICT Mar 27 2014 5:08 am I LOOVVVEEEE HongKi oppa he is so good looking and I also LOVE Yang Jin Sung unnie as Doo Rim but I hate hate hate Yi Kyung she's BEYOND HORRIBLE!!!! I just watched ep 10 and I'm dying to know what happens next. Jin Sung unnie Hong Ki oppa HWAITING. BOTC Team HWAITING!! Fatima Mar 26 2014 2:51 pm I just noticed only now that the heroine, which represents good Na Doo-Rim wearing white and the evil Jang Yi-Kyung wearing black . My problem is that I concentrate on one thing at a time if i am distracted by something else i would never noticed like the elephant in the room even if he is an actual one i will see him i will just pass by him maybe even I will say "Hi Elphy "and then when i notice him i will drop on the floor and leave the room scared crawling . na doo rim Mar 26 2014 9:16 am Aigoo! This couple keeps me awake everynight!! I'm watching it over and over again.. i think i'm crazy for this drama! Eotteoke?? na doo rim Mar 26 2014 9:14 am Aigoo! This couple keeps me awake everynight!! I'm watching it over and over again.. i think i'm crazy!! Eotteoke?? Cat Jenkins Mar 26 2014 1:22 am This drama has not followed any of the regular 'formulas' - normally there is a kiss by ep 4, a piggy back ride, a separation/misunderstanding, then somewhere right before the last episode, things align and we get 15-20 min of happy together. Well! This one started with kisses almost every episode, laughter & happy interspersed generously, and a Nice dose of sweet true love.... and NOW... there are 6 more episodes!!!! I am blown away, beyond happy, biting my knuckles in anticipation. Despite sometimes waiting for a series to finish so I don't have to suffer this anxiety... there is no way I am going to wait, and I love every minute. Lee HongKi and Yang JinSung have got what it takes to keep me mesmerized! Sora Mar 25 2014 7:58 am OMG!!! So true the cliff hangers are a killer!!!! now gotta wait afew days for ep11!!! other than that its a awesome drama!!! aya Mar 24 2014 7:52 pm Its disheartening to know that it will be 16 episodes only..so we should spread BotC to appeal for an extension of the series..CROSSFINGERS! ohho Mar 24 2014 4:03 am @nina I read somewhere that they said it is confirmed BOTC will have 16 eps only..
Nabiluv Mar 23 2014 6:31 pm Oh I think KangJu well notice the different soon enough ..that the person he loves is not YiKyung..also he did notice the bracelet difference before plus there personality is so different.. (Great acting I must say) Oh also OMG how could the brother be in love with someone that looks just like his little Sister ughh ewww yuck!! Can't even like some with a slight resemblance of a 3rd cousin worst yet my brother ewww.. I hope they write that crush off soon..please !! Some random stranger Mar 23 2014 1:47 pm I'm so confused about the beginning. Why did the ghost jump in the water and who was the girl she chased away.. whaaaat. Sonya Mar 23 2014 7:13 am Normally, I am bothered when the story is not tightly knit and defies reality... but not in this drama. It manages to be very funny, interesting, engaging, in spite of some angles that do not add up. I am totally into this drama. The acting, directing, pacing, dialogues and storyline are superb. I hope our hero finds out soon...that he is in love with Na Doo Rim and doesn't freak out because he feels betrayed. Also, there are some photos that have been released on a few sites that give a very exciting preview of the next episode! I am digging too deep into this story? we watch so many screen plays with flaws, should just leave it as one of them? Mapara Mar 19 2014 2:19 pm this drama got such a incredible plot. hong ki is doing very-well and his acting skills are very improved since episode one and two! i'm totally in love with the lead actress her acting is amazing and i'm wondering why she didn't have that much of main characters in dramas ;-; well, anybody knows the name of the song that is na doo rim's ringtone and also appeared in episode 3 on (38:00) ? ssa Mar 19 2014 11:58 am nomu nomu choa this drama. i just can't believe that hongki can be the cool guy. i so love him as a cheerful guy, just surprising with his character here. i hope this drama would has the happy ending, i don't want to see hongki sad. ohho Mar 19 2014 10:32 am Since Kang Ju's mom believes in that curse thats why i came up with that theory....keke..if she realy killed her then she dont need Yi Kyung to marry Kang Ju..but drama always know how to mislead the audience..
@ooho: not confirmed yet on black and white ghost being the same. Also, the curse is on oldest son. My thoughts are that even if he leaves the house and his wealth he still can't stop being the oldest son. Mary Frances Mar 18 2014 11:04 am Been following this drama....just wanna ask if anyone here knows the song that Lee Hongki sang in episode 7? Thank you! yes. (not sure if this a spoiler>>>) i dont think kang ju's mother killed his father's 1st wife or had to do with it. if she really do, then she would choose roo mi as her daughter in law at the first place. Kpage Mar 18 2014 9:04 am PsychoticHatter: the spoilers below are NOT CONFIRMED so rest assured, there are still more twists in the story yet to come!!! Fighting! PsychoticHatter Mar 18 2014 3:00 am SPOILERS IN THE COMMENTS BELOW THIS ONE! This would have been a nice thing to have noted before I read sakura's comment! I hate it when people can't help but put spoilers up without typing out a warning! I hadn't watched enough to know what they posted and now I am very annoyed! Sapphire Mar 17 2014 6:59 am Love this drama!! It's my first time watching Lee Hongki and he's a true eye candy. Also love the main actress Yang Jinsung as Doorierfect couple!! A drama that has a touch of mystery, melodrama and romcom..
Kassy Mar 16 2014 9:44 pm I seriously love this drama!!! The story line the actors everything!!! But I think it's so sad that those two people are willing to give up the main characters life while the other two girls are willing to give up her life as well. It's like the main actress is in this fight all alone. I hope the ghost helps her. She's so innocent and she got pulled in everything!! And she loves him so much too!! (Who can't it's freaking Lee HongKi!!) can't wait until ep 7&8!!! Bella Mar 16 2014 6:24 am I LOVE this drama SOOOOOOO much!! Yang Jin Sung is a super genius actress, I love how she's able to play her double role with a completely different personalities! And LEE HONG KI... oh I just love him. I love this drama so much, the story line and everything is just perfect. Sorry if I'm overreacting hahaha ;p Bride of The Century, fightinggg! Anna Mar 15 2014 2:05 am Oh and I'm thinking that the white ghost might be the father's first wife? Anna Mar 15 2014 1:44 am I love this show!, and I like the white ghost, she seems like the playful type, especially when she change the direction in Ep. 4 to make Doo Rim drove back to the mansion. Her look was such of a mischief girl. Lila Mar 14 2014 8:00 am Omg!! This show is amazing, but I love love love Yi-Hyun. I really want oppa to end up with na doo-rim!! kpage Mar 13 2014 3:40 pm I think the first Bride (100 years ago) was not a "love" choice but a sacrifice in order for the second Bride to be installed after her death. I think that the curse hinges on true love.. The cheap bead bracelet that the ghost gave Na Doo Rim and the expensive engagement necklace that Kang Ju gave to YK - which symbolizes eternal love. Jacqueline Mar 13 2014 3:32 pm LOVING this drama!! !...such a great story so far. With each episode it gets better & better. Love all the characters but hoping Doo Rim ends up w/Kang Joo. Looking forward to the next episode. kpage Mar 13 2014 3:20 pm I think that it all hinges on "true love/eternal love". The ghost in the opening scene (the lady in white that jumped off the cliff that Na Doo Rim saved) talked about "him" cheating on her, said that he would love her forever. Also, it's interesting that the ghost talked about Na Doo Rim's body being that of. A little girl....what Kang Ju said almost verbatim about Na Doo Rim's body. I think that there are either two ghosts like the two identical brides, one good and one bad or its the same ghost that has the ability to be both in order to influence the outcome which has to do with "love". After all, she asked Na Do Rim (after she threw the bracelet away) if she liked her gift or not? What are your thoughts? 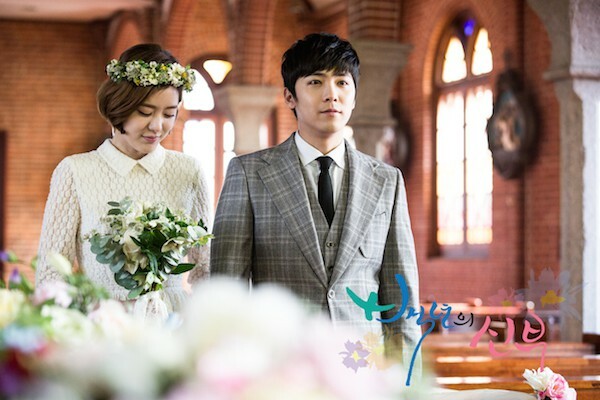 eunjy Mar 13 2014 10:16 am I love this drama & I have to say that lee hong-ki oppa's acting has gotten better... there's s.th that I'm so curious about & that is why the ghost tried to kill that bride 100 years ago & now is trying to help Na Doo-Rim (that looks exactly like that bride) to marry Choi Kang-Joo. the ghost was the one who helped Na Doo-Rim & Choi Kang-Joo to get close to each other,does she want to kill Na Doo-Rim or not?! ohho Mar 13 2014 3:38 am @kpage, i rewatched E01 and yes..the girl looks like Ra Im. I have been thinking possible reason why the ghost wants to involve Doo Rim in Kang Ju's life, so maybe it had to do with the past or the incarnation.keke. And actually Kang Ju's family is not poor back then but the girl is. The family is using the same method each time they want to marry the son in the family since 100 years ago. Guest Mar 12 2014 9:46 am There's really nothing manly about the lead actor but Sung Hyuk is. kpage Mar 11 2014 1:23 pm Ohho, I went back and looked at the first episode when the first "substitute wife" died, and in the scened before she "falls" off the cliff you see her face. Doesn't she look like Na Doo Rim? The fact that Kang Ju knows the women is making this drama more interesting IMO. Oh..Cant wait for the following episode. ohho Mar 11 2014 8:07 am Can anyone enlighten me whether the woman who gave doo rim the bracelet is the same with the evil one or not.i kinda confused here..oh.i love this drama.i just hope this drama will have a good ending. Tash Mar 11 2014 7:26 am @ Lay and Lenore their seems to be more to the story. They make it seem like they are half siblings but the mother said something in episode 3 I think about him not trying to find her because she is not his real sister. So he probably was adopted or a part of the story will be revealed later on I guess cause that's the only way I could see him having so much affection for her before Doo Rim came in to the picture. Lay Mar 11 2014 3:02 am @lenore they are half siblings. They share the same father but different mothers. In one episode he speaks of how his mother died when he was young. His father then married Yi Kyungs mother and they had her. I mean the company belonged to his father so do you see him marrying a woman that already had a child? He was basically a chaebol. lenore Mar 10 2014 7:13 pm Can someone explain the real relationship between her older brother and the "real" sister? I was under the conception that she was his half sister. But, on some of the sites, people are saying he was adopted, and there is no blood relation. One translation I saw, actually referred to her as a half sibling. The other said non-biological sibling. Does anyone know for sure? sara Mar 10 2014 11:38 am Love this drama, think Hongki is doing a great job..
ii Mar 10 2014 2:21 am i think lee hong ki so good in this drama. it is being tall is everything????? Guest Mar 09 2014 11:05 pm I liked the first episode. It has a potential to be a great drama. I just don't think the lead actor suits the Kang Ju role. He isn't that tall and manly and he's quite young. I believe an older and mature actor would have been a better choice. Vio Mar 08 2014 1:21 pm Very refreshing drama. Have been a fan of Hong Ki since he starred at "You're Beautiful"! Hope to see him in more Korean Dramas! Janet Mar 07 2014 9:12 pm I love watching this drama and Kim Sora. Of all the dramas that I've seen she seems to play the character where all her daughters (most beautiful) and sons (most handsome) top star Korean actors. I'm so glad she plays Lee Hong Ki's mom on this drama. april Mar 07 2014 3:34 am omo!! I'm so excited to watch this Korean drama :) i know this would be great . .
Nin Mar 07 2014 12:42 am I love Choi Kang Ju. Leigh Mar 06 2014 7:23 pm When is ep 5 coming????? RuLz Mar 06 2014 6:08 pm daebak!! i really happy can find another interesting drama after another star. this drama s really interesting and give me many question. why the ghost help them? is the curse true? is the ghost just want to kill first bride that first son's loved? and many else..
surususu Mar 06 2014 4:30 pm totally addicted!! Joongde Mar 06 2014 6:06 am Can't wait to see the next episode, Uri Hongki look so handsome <3<3 please hurry..
Kdramaland Mar 06 2014 1:00 am LOVE LOVE LOVE this drama....totally recommend it!! alinaa Mar 05 2014 7:00 pm the beginning wasn't that good, but if you keep reading, it's soooo addicting! MuchMuch Mar 05 2014 10:07 am Very cute and entertaining. I think there 2 ghost seem like black and white. Can't wait to see the next episodes. Good job for lee hong ki seeing his other side of acting. Cindy Mar 05 2014 12:49 am Definitely addicting. I love it! Can't wait for 5 and 6! My Wednesday thru Saturday nights are taken with Emergency Couple and Bride of the Century! You mean the ghost is trying to get them together? But the ghost 'helpfully' told Yi Kyung that she's is gonna die if she is the first one to marry Gang Ju. Unless, the ghost wants to reverse the curse, since she gave her a bracelet, supposedly giving her luck, hopefully enough luck to avoid the death curse. wena Mar 04 2014 1:06 am Lee Hongki is an actor before he became a singer.. fighting..
mickdiee Mar 03 2014 9:15 am best drama after my love from another star but why it takes so long to post the eng sub? did the rating is low in korea? Samantha Mar 03 2014 2:56 am What's taking so long for episode 3 and 4 to be translated to English?! plssssssssss! ella Mar 02 2014 11:10 pm i need episode 3 plsssss.!!!!!!!!!!!!! #Eiresh68 Mar 02 2014 6:59 am LEE HONG KI everyone will support you!~ don't groww older huehue make more dramas please, and i suggest you make one with LEE SOON SHIN :") have a good day! tina Feb 27 2014 12:57 pm Isn't choi-II Hwa playing in two dramas now? Inspiring generation and bride of the century. He probably has a busy schedule. Fighting! Haha :D Feb 27 2014 9:30 am Does anyone know when episode 3 is coming out? verne Feb 26 2014 9:49 pm Lee Hong- Ki as I've never seen. This actor has matured greatly. The relationship with Na Do Rim(Jang Jin Sung) is very interesting. After watching episodes 1 and 2, I am hooked.I feel the mix of the supernatural with the wickedness of the living makes for a great drama , which ultimately evolves to humor and love. KIKI Feb 26 2014 4:57 pm I think that the ghost did that on purpose so in that way she could help her , and that the ghost is trying to put them together. But i kinda feel that there will be a love triangle , with the two girls. Maybe those two are twins. tina Feb 26 2014 3:12 pm I wonder why the ghost is putting them two together. Is the ghost trying to lift the curse or is she going to kill the first bride again? Shirley Tan Feb 26 2014 4:32 am Highly recommended!! Must watch..
Shirley Tan Feb 26 2014 4:30 am Awesome! Daebak!! This drama really highly recommended! Watched the 2eps back to back and now addicted to it. Lee Hong Ki serious 'face' acting really good. Like his acting so much. Arissa Feb 26 2014 1:36 am The first 2 episodes were enjoyable. They were light-hearted. The acting is good. Lee Hong Ki serious character is well balanced the the upbeat perky character played by the lead actress Yang Jin Sung. I love the chemistry between them. I am hoping this drama will fill the void left by You Who Came from the Stars. Kyaraa Feb 26 2014 12:59 am Haven't watch it, but i'm gonna watch that drama soon. From the trailer, Lee Hong Ki looks so different. Osereme Feb 26 2014 12:39 am omg this drama is HIGHLY RECOMMENDED, its soooooooooooo good like the first 2 episodes have me dying with laughter and the feeling of hatred and love and all these emotionsss i can't even, like sometimes i'm even scared. its just the perfect mix! plus the main actor isn't bad at all i mean he is the lead vocalist one of the best bands i've ever heard (F.T. Island) and god when he was taking off his shirt .... ok let me not spoil it, but watch! Hong ki Feb 25 2014 10:29 pm I was thinking should I watch this or not?so when I watched the first episode I was like I'm going to love this show. Everybody should watch this I LOVE IT!!!!!! !❤️ U OPPA!!! sara Feb 25 2014 8:22 am Lee Hongki doing a great job. Love first two episodes. Fla Feb 25 2014 6:10 am I really loved the first two episodes! The plot is interesting and the leading actress is very talented, she matches perfectly with my beloved Hongki. Lee Hongki fighting!!! Sya Feb 25 2014 4:20 am I must say that Lee Hong Ki's acting has been improved a lot this time. By taking a different role from the past, this show another side of his acting talent and prove that he can act as well as he can sing.... keep up!!!!! Davia Feb 24 2014 11:45 pm Excellent lead actress. The first two episodes are really well done. Comedy, mystery, romance - very enjoyable. baesr Feb 24 2014 6:39 pm I love episode 1! The ACTRESS, she's such a.... I love her and Hongstar too. Can't wait! lupita311 Feb 24 2014 1:34 am They cast Lee Min Ho and Kim woo bin as 18 year old guys and Lee Hong Ki as a 29 year old guy, what is going on with casting directors? Not that I hated them I loved Heirs, is just that Hong Ki is an amazing actor and I loved him in everything he has been in I want him to be successful. He can act we know that, how well he can act an adult role, that we will have to see; but they all have to start from something so this is the first time for him as an adult. He should've been playing a younger role closer to his 24 years yes, especially since he looks and acts so young but I have faith in him. May Feb 18 2014 8:59 pm Finally a Saturday and Sunday episode. I've been stuck on Wed's and Thurs's drama night for the past 6 months. I'm so happy to see Lee Hong Ki again. Lina Feb 18 2014 4:13 am It will be release on February 22. arghhh !! I can't wait for it xD Saturday, please come as posible !!! Lee Hong Ki !! you so cute xD so happy to see you in a drama again :D haha like you so much LEE HONG KI !!!!!!!!!!!!! toyang Feb 08 2014 2:24 am yes! another lee hongki drama. can' wait to watch it. aye nyein oo Feb 02 2014 12:37 am I don't care other say hong ki.I like hong ki very much.So his acting skill is bad or good ,I will like him.l can't wait anymore.fighting hongki. Erika Jan 25 2014 3:20 am AHHH LEE HONGKI!! I`m super stoked and excited for this!! Hongki is such a talented guy! I mean he had literally THE best voice in Korea.. and I`m not just saying that. I`ve been a kpop fan for a long time and know of ALL the amazing idol singers.. sunbaes and hoobaes.. and I`ve heard no one who can match Hongki`s powerhouse vocal skills and uniqueness and vobrato control at all.m I`m not even a full primadonna so I`m being honest. But he`s such a crazy fun loving hyper cute handsome idol and I`m really happy he has another drama coming out. The story sounds complicated and amazing and from the photos so far it all looks great! I love his look too! To a certain comment below directed at Hongki`s [bad] acting skills.. all I have to say is watch the drama to know for sure. I dont know about the rest of you but the only time I've seen him act in a drama was in You're Beautiful. He was amazingly funny as Jeremy and honestly it was my fav part of the drama. I peronally think he's a great and serious actor.. i mean he was a child actor.. duh! And if you havn't seen him act in FT Island's Severely MV then you REALLY need to watch that before you say he can't act. DAEBAK.. and so sad >< But I think this serious role will show a different side of him. FIGHTING LEE HONGKI AND BRIDE OF THE CENTURY!! So excited!! Can't wait till February!! saiko_shoujo Jan 24 2014 1:41 am Whether they like it or not Hong-ki's awesome!!! saiko_shoujo Jan 24 2014 1:39 am Im looking forward to watch Jeremy or Lee Hong Ki i should say...I want to see the other side of him!! little sis Jan 23 2014 11:49 am how can you(nemy) say that? hongki oppa is so great. he's the best singer and best actor too. oh,i cant understand you guys at all. hwaiting hongki oppa! Nemy Jan 21 2014 12:22 pm Let's just agree that Lee Hong Ki is a very talented singer and has an amazing voice but can't act. Please stop doing dramas, please for your own sake, stop it Lee Hong Ki !!!! !